PRODUCT DESCRIPTION: Cordless vacuum that has been designed to remove insects cleanly and efficiently. The high powered vacuum assembly is strong enough to pick up any type of insect and once they enter the holding tube, a one way valve closes behind them keeping them contained. The unique design allows the user to decide if they want to "zap" the pest or release it elsewhere alive. There are three parts to this device. 1) The handle, which contains the motor and rechargeable battery. 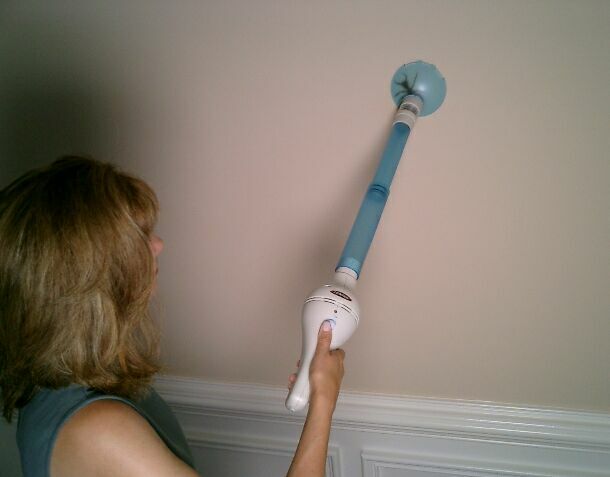 2) The extension tube, which fits over the handle and has the one way valve at top and 3) the nozzle, which features a flexible tube so you can get a flush "trap" insuring fast catches. 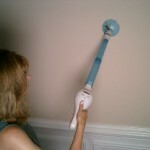 Use the nozzle to remove most any insect from walls, ceilings, floors, etc. When targeted pests are in cracks or are small, use the extension tube without the nozzle. ZAPPING CONTROL is set by the Extension Tube. When fit over the handle halfway down, the unit will function as a vacuum perfectly. However, the zapping feature will not be engaged. To turn on the zapper, you must push the extension all the way down to where it will push two tabs together thus completing the circuit. When the circuit is complete, there will be an electric charge across a metal grid where the extension tube fits over the vacuum handle. When targeted insects are sucked through the tube, they will land on this grid and meet their fate. Most insects will die within a few seconds; larger insects such as wasps and moths may take 15-30 seconds to kill since they have thick protective skins, wings and filmy powder that hinder the shock. WHERE TO USE IT: Inside or outside. Great to have around the home for fast and clean and removal of the unwanted pest.